secret spice. Nathan’s son Murray would later inherit and lead the expansion of the company throughout various neighborhoods in the New York area. 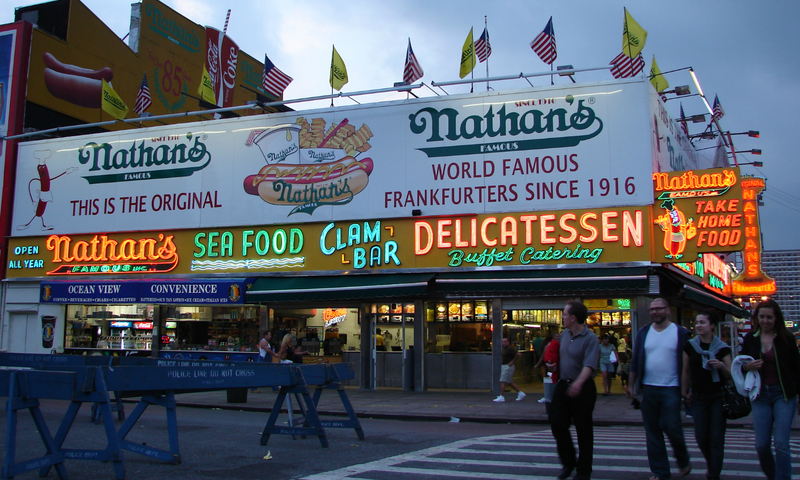 For the last 40 years, Nathan’s Famous has sponsored one of the most competitive hot dog eating contests in the world. Even hot dog eating champion Takeru Kobayashi has participated in and won the televised contest. Today, annual sales of Nathan’s Famous hot dogs have reached $71 million, making it one of the most successful and recognizable hot dog brands.